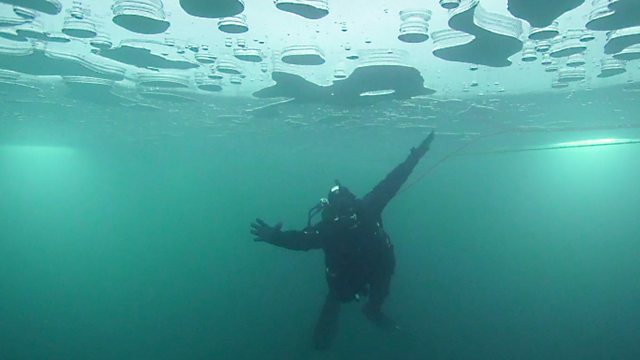 In the ski resort of Tigne in the French Alps you can try ice diving, exploring the water below the frozen surface. The activity normally requires a dry suit, mask and regulator. An instructor accompanies the diver and a support crew remains on the surface. The BBC Travel Show’s Lucy Hedges visits the ski village of Tignes Le Lac to find out more.